For the above Brother P-Touch printers and all that accept 12mm TZ / TZe tapes. 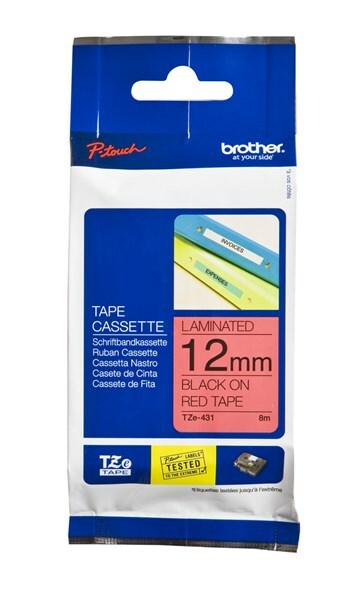 Brother TZ Tape has a quality permanent adhesive providing good adhesion to most smooth, oil and dirt free surfaces. These TZe tapes can be used to label far more than just stationery and containers. Due to their unique laminated design, these labels can withstand abrasion, chemicals, water, hot and cold temperatures, and harsh light. Brother labels can be used outside, in the freezer, in the dishwasher and in the garden. They are also the most hygienic label on the market - they can be used in labs and hospitals as well.